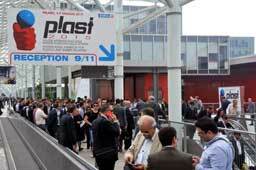 According to Promaplast, the organiser of the Plast 2018 show in Italy, as of 30 June 2017, more than 1,000 companies have confirmed their participation in the event that will take place in Milan from 29 May to 1 June 2018. “With just under a year to go, nearly 90% of the available space has been reserved,” commented Alessandro Grassi, President of Promaplast srl. “With a significant increase in the space requested by foreign participants (+34% with respect to three years ago), confirming the international stature of the fair. So we have high expectations for the final results of Plast 2018,” he added. The overall number of direct exhibitors has also increased, with particular reference to those coming from abroad (+15%). The increase in reservations is spread across all geographical quadrants. And the trend is also analogously positive for all goods categories represented at the fair: machinery, equipment, and moulds for the various manufacturing processes (injection moulding, extrusion, etc. ), raw materials (plastics and rubber), additives, etc. The organisation office has started the assignment phase – dividing the halls by category – and will communicate the assignment to exhibitors by the end of August. The organiser says it is still possible to sign up for Plast 2018 as long as spaces are available. 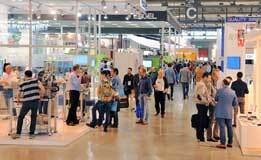 Plast 2018 exhibitors will be offered a series of updated services, including the web portals Expopage and Smart Catalog of FieraMilano, free WiFi at the fairgrounds, one free automobile parking place for each exhibitor, carpeting in the aisles, etc. The show is a member of “The Innovation Alliance”, bringing five international fairs together for the first time (IPACK-IMA, MEAT-TECH, PLAST, PRINT4ALL and INTRALOGISTICA ITALIA), accessible with a single admission ticket, showcasing technologies from different industries: from plastics and rubber processing to industrial moulding, from manufacturing to packaging, from custom graphics for packaging and labels to goods handling and storage. The event will occupy all the halls at the FieraMilano fairgrounds. To round up the technology and materials on display for the plastics and rubber sector, Plast 2018 will also feature three satellite fairs: RUBBER 2018 (in collaboration with ASSOGOMMA), 3D PLAST (3D printing and associated technologies), and PLAST-MAT (innovative materials).